(Purchase is US DOLLARS - voucher is in CANADIAN DOLLARS) Please use the special code when checking out to get the correct discount. $100 Vouchers for $50. New Customers Only! Xtreme Talent Dance Company first opened its doors back in 2006 and over the years has developed a solid reputation for being a place where kids of all ages can go to develop their skills in various art forms. Maureen Keyes started the business 12 years ago and her passion for helping kids reach their maximum potential and develop into great young adults, is just as strong today as it was when she started. 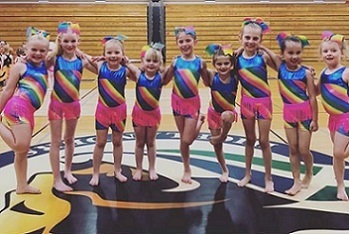 For over a decade now Xtreme Talent has been a place for kids in Abbotsford to come and not only learn dance and the arts, but also be a part of a positive team and build friendships and bonds with other like minded kids, that could last a lifetime. Dance is such a great activity for both boys and girls, as it keeps them active and exercising, helps develop confidence and self esteem, and is a safe place for them to be who they truly are without any judgement.